Luxury is more than the sum of above-average parts coming together as a whole. Luxury is an elevated experience so individually tailored it changes you, it inspires you, and there is nothing more inspirational than the Sea Ray L-CLass. The L650 is style and substance informing each other for the greater good of both. It is luxury built to move you while delivering the heritage and excellent that is Sea Ray in a new class of unparalleled experiences. With its sleek profile and beautiful aesthetic, the L650 Fly features modern styling that marries Sea Ray's distinctive heritage with a dynamic edge. This is a bridge boat to exceed all expectations, from its powerful performance capabilities to its state-of-the-art technology to its superior comfort and livability. Every surface, every finish is artfully chosen and pleasing to the touch. Driven by CAT Marine Power with optional Sea Keeper gyroscope stabilizers, the L650 Fly reaches top speeds in excess of 30 knots. Comprehensive QuietRide™ technology ensures dramatically reduced noise and vibration while underway. 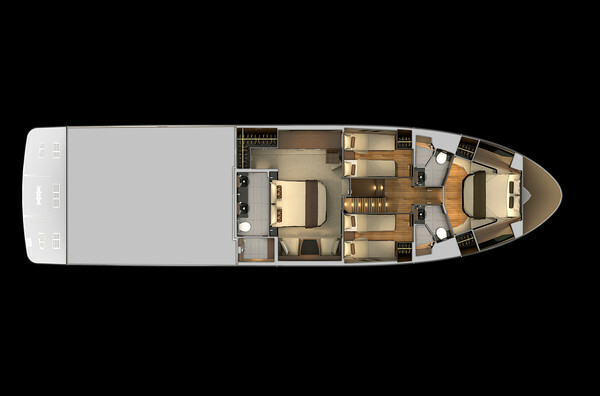 Throughout, spacious entertainment areas invite relaxed socializing, including a reimagined bridge with multiple dining areas and a robust helm station, plus a large sunpad playpen. Below, an elegant full-beam master suite and two additional staterooms provide luxurious accommodations and ample opportunity for personalization. 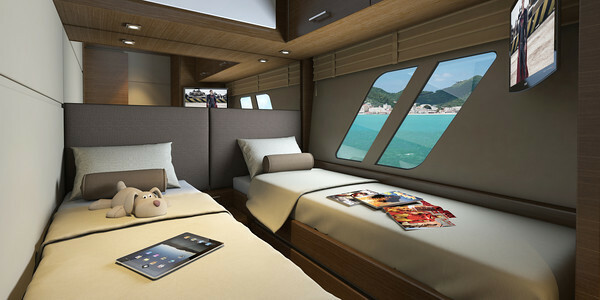 In the salon, a convenient galley up overlooks an enormous living area; SkyFlow Design™ means interiors are flooded with natural light and transitions between areas of the boat - including the sprawling cockpit - are seamless. 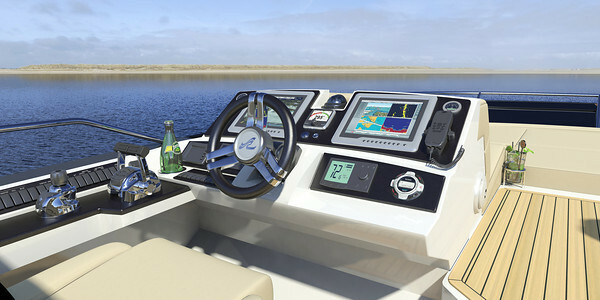 L-Class customers will have access to unique services and amenities, including dedicated customer service, a Sea Ray sales concierge, vessel orientation by a Sea Ray captain, and a class-leading standard 3 year bow to stern warranty (including engines and components), just to name a few. Sea Ray & Red Dolphins Marine are the winning team. On top of this new luxury service approach from factory, we deliver our exclusive FREE preventive service program for 18 months including: Digital scanning, US Certified technicians, and all original lubes, filters for both CAT engines.